Scottsdale Beer Company uses a custom 10 bbl brewing system to brew their beer. They prioritize freshness and craftsmanship and are inspired by the work of beer masters from past generations. The head brewmaster is an Arizona native and has been making beer for over twenty years. 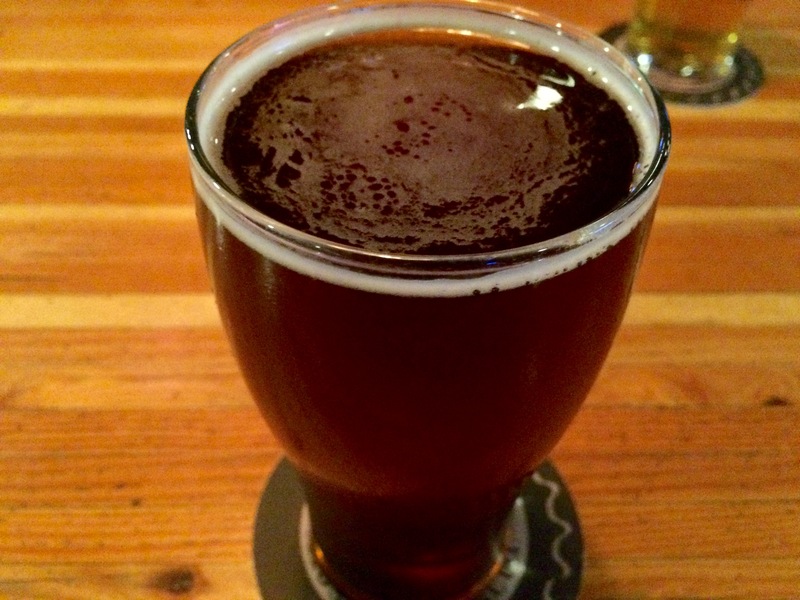 I tried the East End Amber and found it very tasty and delicious. The Chicken Molé Tostadas were recommended by my server and I enjoyed every bite. 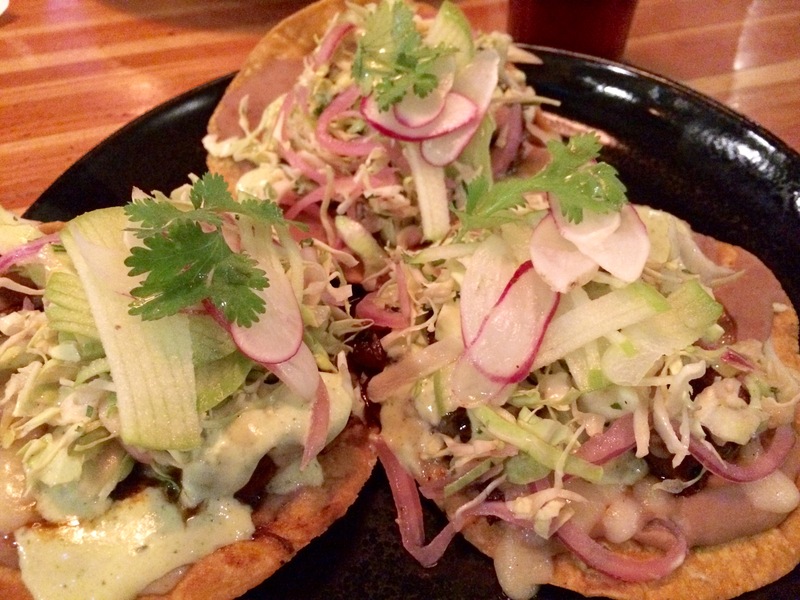 The tostadas are made of beer brined chicken thighs braised in red molé sauce, served over refried beans and topped with cheese curds, jalapeño crema, cilantro, cabbage, radish, lime-pickled onions, and apples. I’m really enjoying all the craft breweries that are popping up everywhere in the Valley. This place was a pleasant surprise and added to my dinner and play evening out. This entry was posted in Beer/Spirits/Bar and tagged 10 bbl brewing system, Arizona, beer, beer brined chicken, brewery, brewmaster, Chicken Mole Tostadas, cilantro, craft beer, East End Amber, jalapeño crema, molé sauce, refried beans, Scottsdale, Scottsdale Beer Company by ttimmons. Bookmark the permalink.